Woodland Wonders takes the baby on a culinary journey from the very first mouthful. 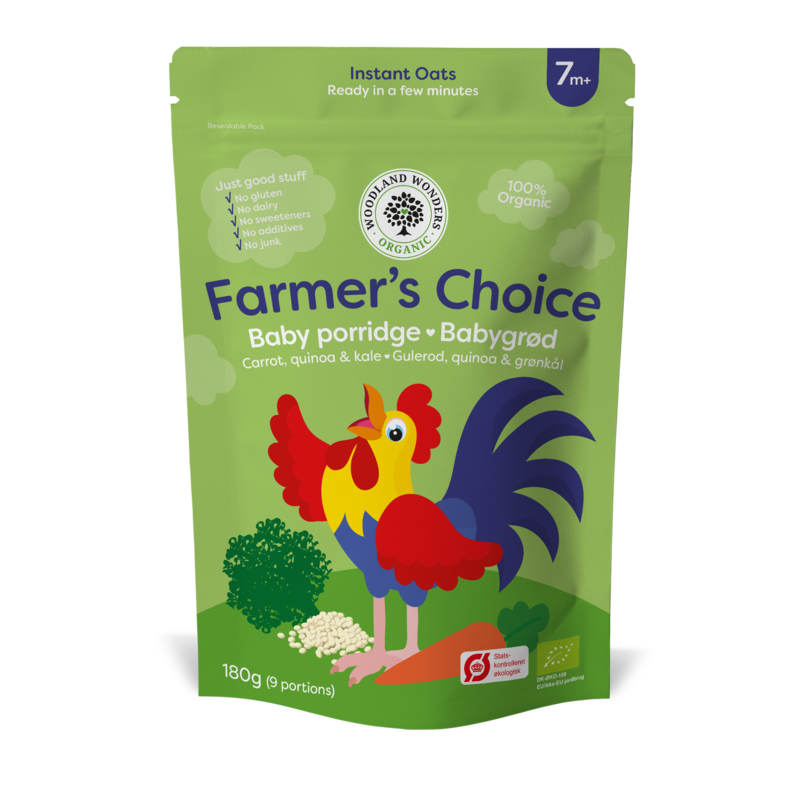 We take the best ingredients and tamper with them as little as possible so they retain their natural fibre, vitamin and mineral content. 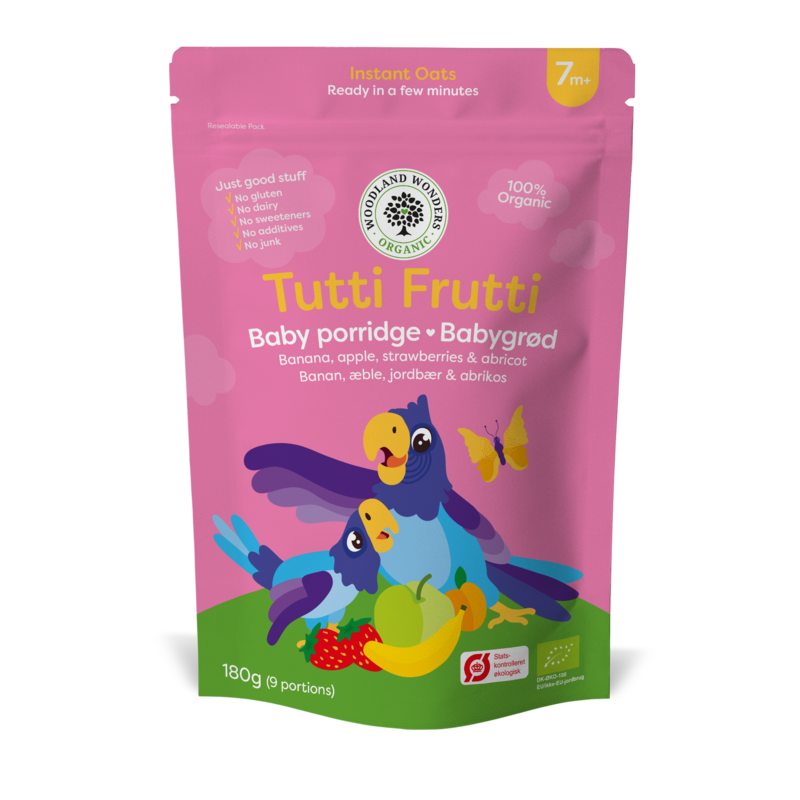 That is why our products have more flavour, colour and structure than any other baby food. 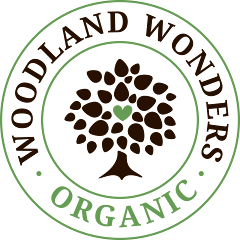 Woodland Wonders is a mom-founded and -operated premium organic food company that’s changed the conception of baby food. 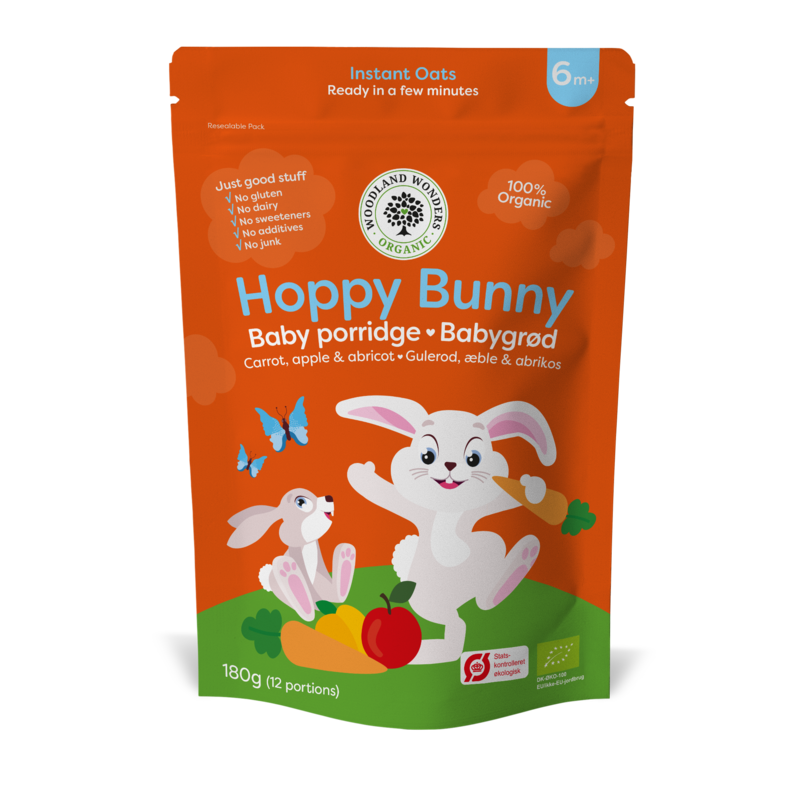 When Founder and CEO Christina Bonde Hansen became a mother to two children with food sensitivities, she found her purpose: give babies their healthiest, happiest beginning by offering parents organic, clean, tasty food. 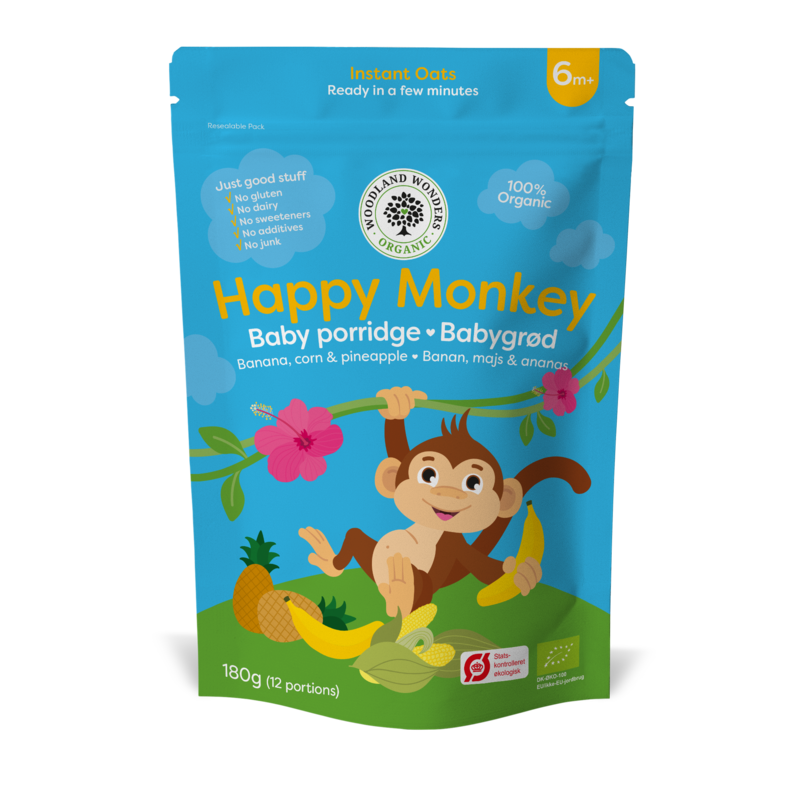 She wished to develop wholesome and organic baby food products that tasted like no others on the market. 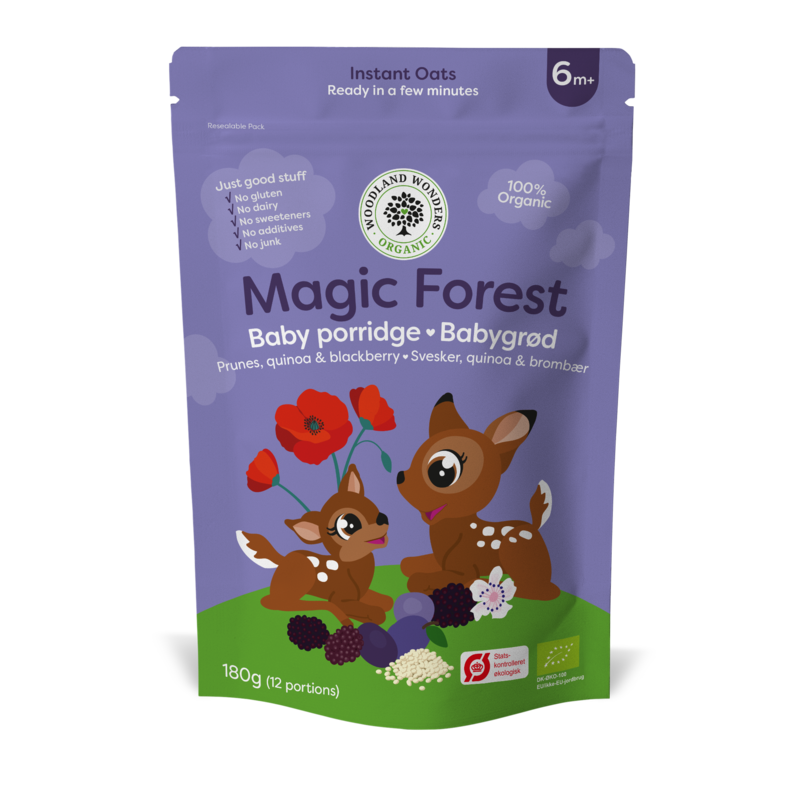 Naturally sweet and wholesome, Woodland Wonders’ recipes are made with certified organic ingredients and contain no preservatives, refined sugar, artificial colours, flavours or other additives. 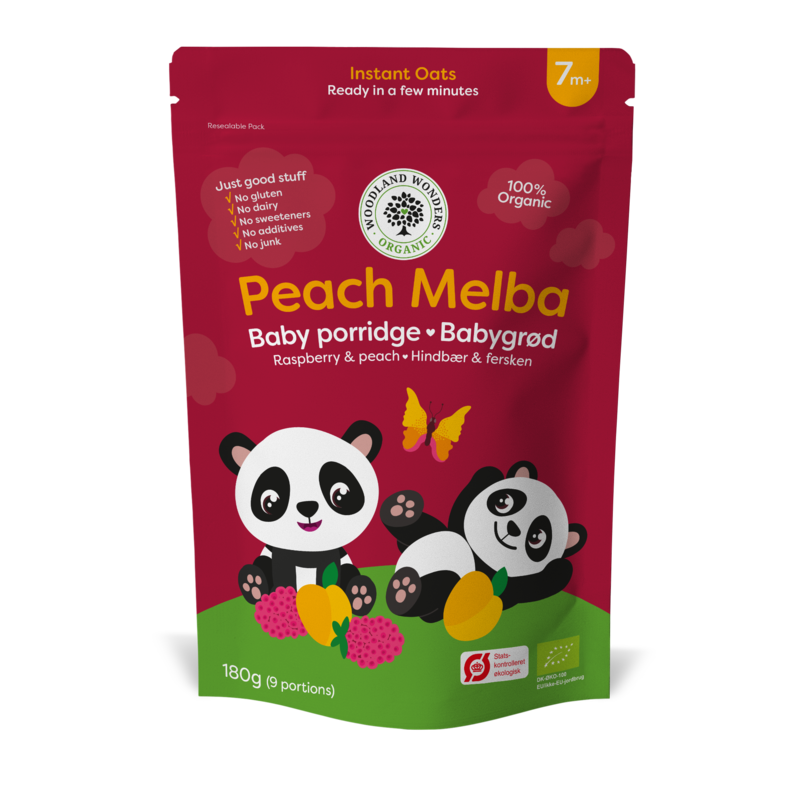 We are also proud to be able to say that our whole range of porridges is suitable for babies with allergies and food sensitivities.